Can 2018/19 live up to last season's opening salvo? Fans awaiting the start of the 2018/19 season will hope the opening matches will provide the same fireworks as last season. That's because 2017/18 started in record style. With seven goals, the opening match where Arsenal beat Leicester City 4-3 was the joint-highest scoring Matchweek 1 fixture in Premier League history. The excitement didn't let up. 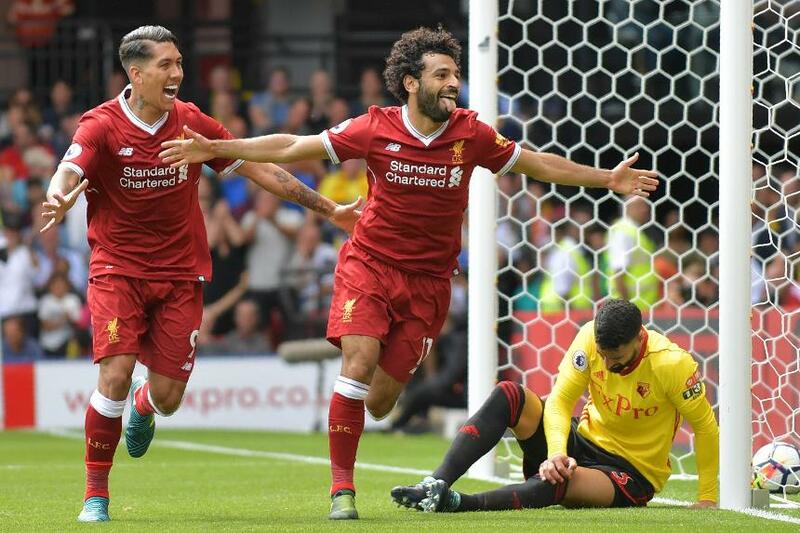 That Friday-night match was followed by a six-goal thriller in Saturday's early kick-off, as Mohamed Salah got the first of his record 32 goals in a 3-3 draw between Watford and Liverpool. With Burnley stunning champions Chelsea 3-2 at home and Manchester United putting four past West Ham United, 31 goals in total were scored over the opening weekend. It put 2017/18 among the top five for most goals scored in Matchweek 1, five behind the record total of 36 in 2003/04. With the final day of last season also producing 31 goals, here's hoping the 20 clubs can carry on where 2017/18 left off.